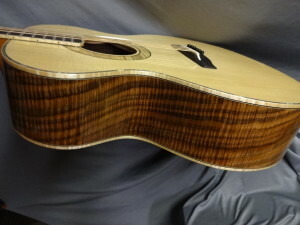 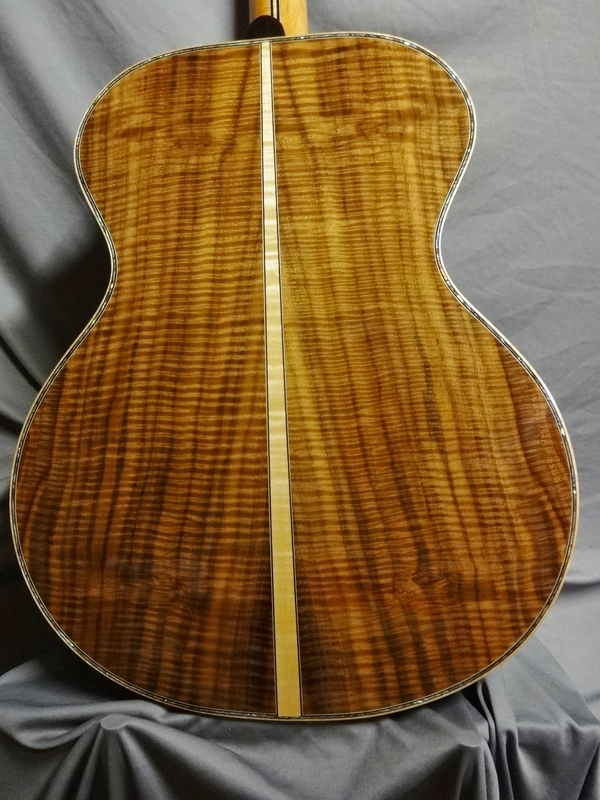 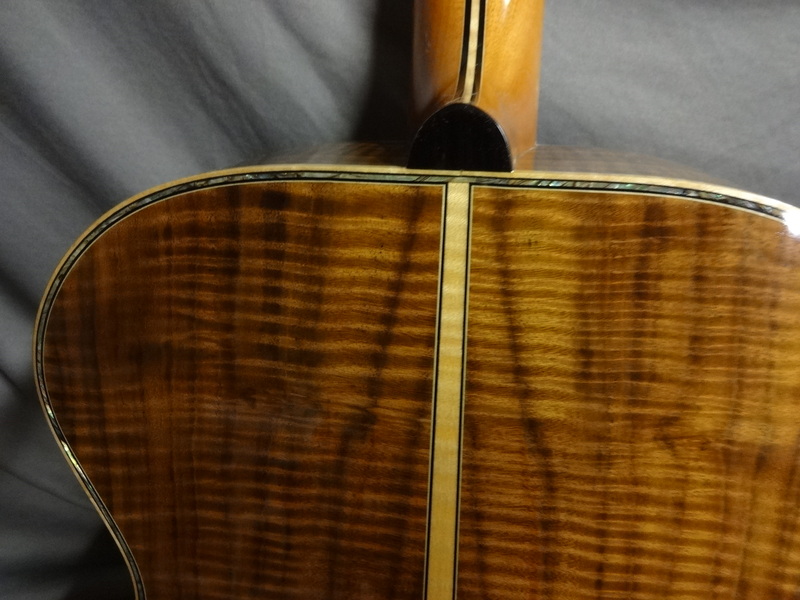 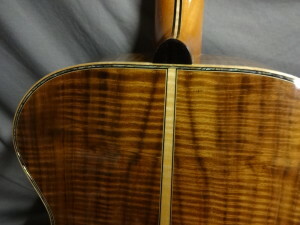 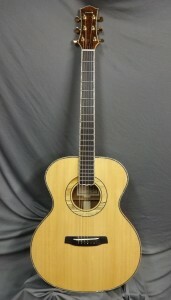 This guitar features a Lutz spruce soundboard, very curly Claro walnut back and sides, a 7-piece neck of Honduran mahogany, curly maple and ebony, and an ebony fingerboard with 25.4″ scale. 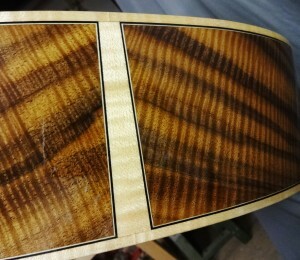 The rosette is spalted sycamore. 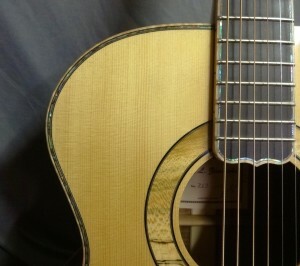 Bindings are curly maple with abalone purfling around the top, back, neck and peghead. 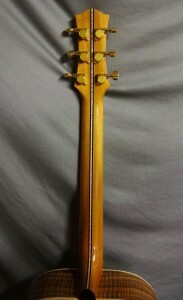 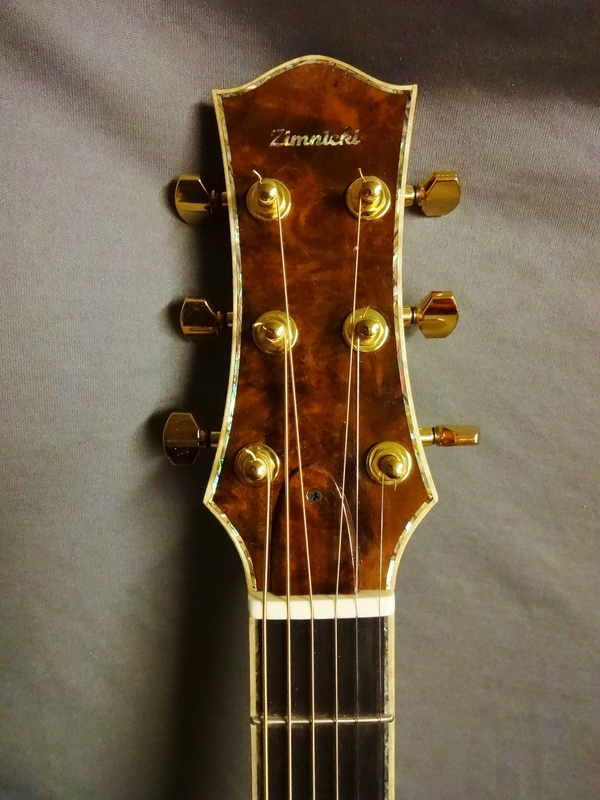 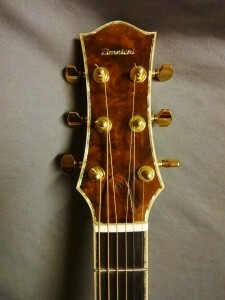 It has Gotoh tuning machines with a burled walnut peghead. 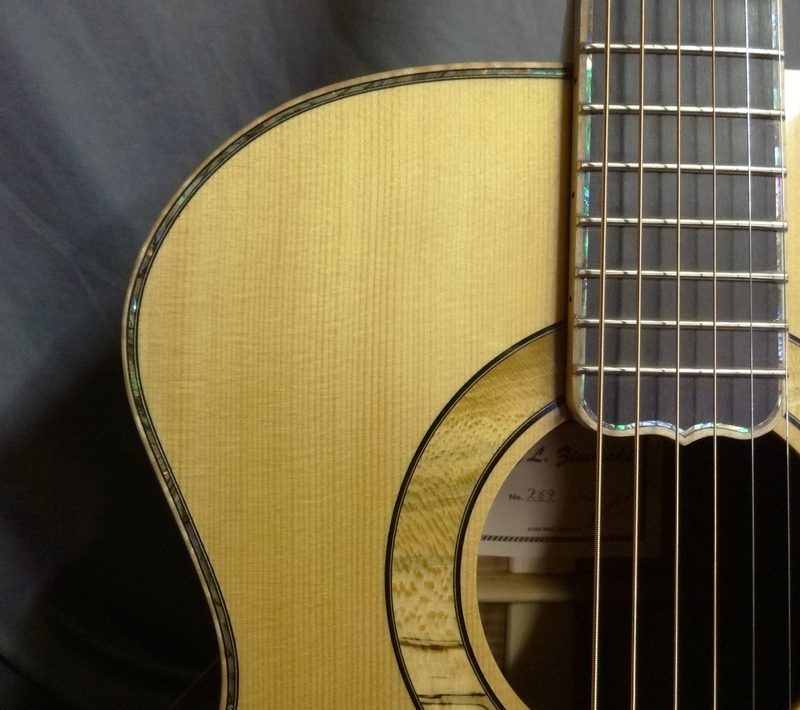 This is a very powerful guitar with a rich, woody tone.